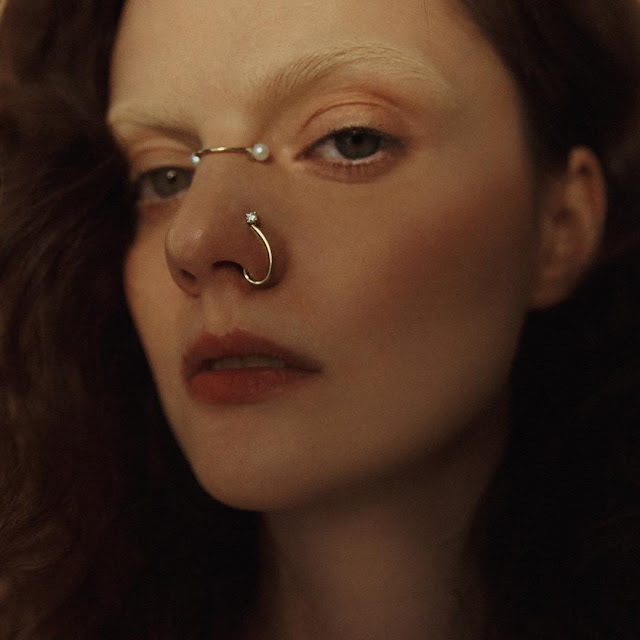 This freshly graduate of Central Saint Martins within jewellery design is already gathering a lot of the attention through Instagram, the only "place" for now, where you can follow her talent. The reason is her collection of handmade facial ornaments, a new take on statement piercing jewellery. In each piece Joanne combines traditional techniques with modern ones and focuses on topical approaches. "Not Your Average Beauty" is her collection drawing inspiration from radical tribal jewellery that aims to combat the media´s idealisation of beauty and the modern obsession of plastic surgery that is prevalent in her Asian community. Constructed with 18K yellow gold, pearls and diamonds, each single piece is uniquely designed with varied structures, scaled accordingly to fit the multitude of facial anatomies of both Western and Asian societies. With this collection Joanne hopes to raise awareness about the pressures of today’s beauty standards by offering a viable alternative that celebrates one’s individuality and improves existing imperfections. By enhancing dissatisfying features on the face, Joanne hopes she challenges her wearers to embrace their flaws.